Jeanette L. Phelps, 85, of Kansas City, passed away Sunday, April 8, 2018 surrounded by her family. Funeral services will be held at 10:00 a.m., Friday, April 13, 2018 at the Park Lawn Funeral Home, 8251 Hillcrest Rd, Kansas City, MO. Burial will be at Mount Moriah Cemetery following the service. The family will greet friends from 6:00–8:00 p.m. on Thursday, April 12, 2018 at the Park Lawn Funeral Home. Jeanette was born December 26, 1932 in Marionville, MO, the daughter of Leland and Erma Mitten. She was united in marriage to William L. Phelps, Sr. on April 3, 1954, in Springfield, MO. Bill preceded her in death, May 8, 2012. A devoted wife, mother and grandmother she was a wonderful provider and homemaker. She loved her family, friends and Church and was an excellent cook and enjoyed preparing meals, especially pies, while spending time with her family. Jeanette attended the Belton, Grandview, Red Bridge and Liberty Church of Christ over the last 60 years where she and Bill actively volunteered. 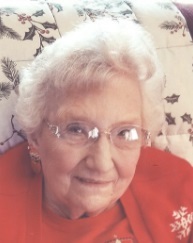 Jeanette was a life member and past president of the Ladies Auxiliary to the VFW, Post 8100, in Grandview and an active member of the Military Order of the Cootie supporting veterans with her own touch of humor. As an ambassador, she called Wexford Place home the last 6 years where she served this community and loved the residents and activities. She is survived by her children and spouses; Jerry (Connie) Phelps, Helen (Tim) Riley, Bill (Viveca) Phelps, Jr., Harold (Donna) Phelps and John (Timarie) Phelps; 34 grandchildren; 2 sisters, Twylla (Uriel) Glidewell and Nancy (James) Stewart. In lieu of flowers memorial donations may be made to Liberty Church of Christ, Outreach Ministry, 1401 Glenn Hendren Dr., Liberty, MO, 64068.